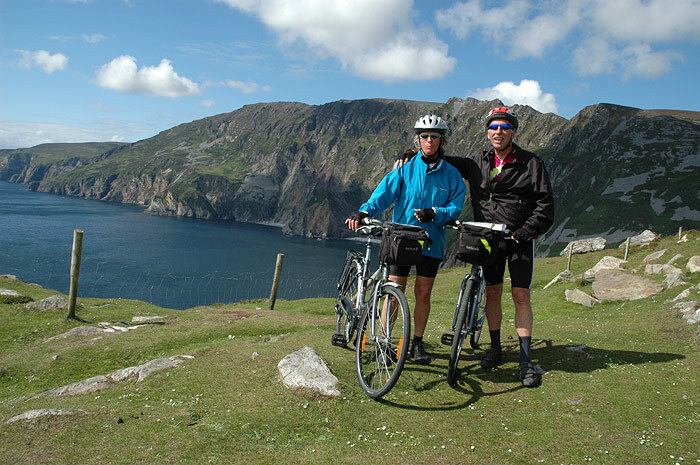 Hike & Bike or Walk & Cycle the beautiful Kingdom of Kerry in this wonderful self-guided leisurely walking and cycling holiday. Perfect for individuals, friends, groups and families. 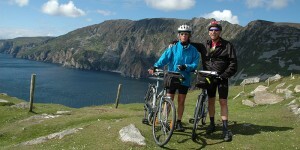 This wonderful tour is an interesting mix of different walking, hiking and cycling in Kerry. Walk 8-12 miles (12-17 km) on 3 days along the Kerry Way walking trail. Discover the beauty within the Reeks District’s lonely glens. Soak up spectacular coastal views from Rossbeigh across to Dingle Bay. Ramble through Killarney National Park’s ancient oak woods with walks enriched with legends and archaeological remains. An option day allows you to partake in sightseeing, visit Killarney craft shops, visit a local spa or simply rest! You then cycle (up to 24 km/15 miles) for 2 days, at your own pace, around Killarney’s Lakes and Fells, with a choice of route descriptions and maps. Finally, a boat trip through the famous Lakes of Killarney is a dramatic finale to your trip after a cycle from Killarney through the spectacular Gap of Dunloe to Lord Brandon’s Cottage. 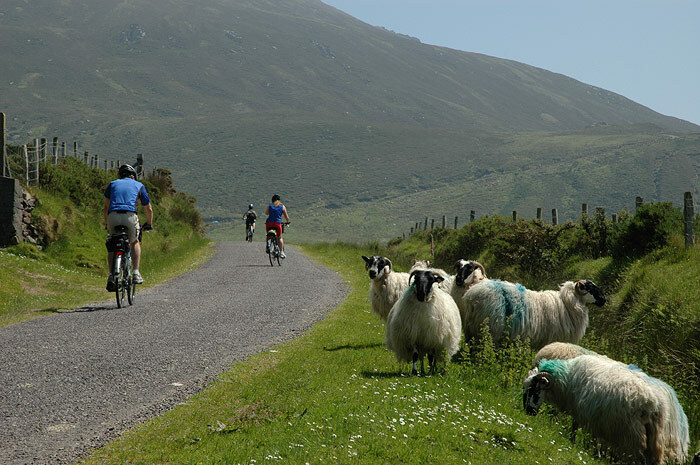 Enjoy a great combination of hiking, walking and cycling activity during your holiday in Kerry! Welcome to Glenbeigh & your Hike & Bike self-guided holiday. On arrival you may have some time to wander around the village or have a magical walk in the Fairy Forest or wet your toes in Rossbeigh beach. Settle into your accommodation and relax and take time to read through your holiday pack, notes and maps for your week ahead. This morning you will be dropped to your starting point and you will walk back to Glenbeigh. This leg of the Kerry Way takes you along an early Christian route and medieval coaching road taking in spectacular views out across Dingle Bay and closer inspection of archaeological artefacts. You will be introduced to one of Ireland’s greatest myths, the tale of Tír na nÓg (the Land of Youth) and maybe even see the departure point in a magic wave at the end of Rossbeigh Beach!! A swim in the Atlantic may be had… if you’re brave enough! Today you walk on the Kerry Way from your accommodation, through the Windy Gap and downwards into the wooded valley of the Caragh River and storied Glencar. Tales of Fianna warrior bands and of Oisín’s return route from Tír na nÓg echo through today’s walk before finishing at The Climbers Inn for a well-earned drink. This morning you will be transferred to the start of the final leg of the Kerry Way which takes you into Killarney National Park – through ancient oak woods, along the Old Kenmare Road, with a descent beside the spectacular Torc Cascade and into the gardens of Muckross House (19th century mansion), with its welcoming teashop. Walk past the ruins of Muckross Friary (15th century) and out of the National Park to your B&B. Enjoy some free time in Killarney which is renowned for its world-famous lakes, combined with the rugged beauty of its valleys and mountains, and its extraordinary wealth of trees and rare flowering-plants. 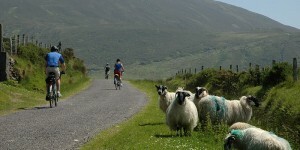 • Discover Killarney – cycle or stroll through the National Park. Today is a day of exploration. Enjoy as much or as little as you please! Collect your bike this morning close to your accommodation and test it out before setting off. Cycle on traffic free trails through Killarney National Park, shared only with pedestrians and jaunting cars. Encounter dramatically weathered limestone crags, lush vegetation, beautiful lakes, Medieval Abbey at Muckross (15th C) or stop at Dinis cottage for some tea. Quaint stone bridges are crossed to bring you to the spectacular Torc waterfall before returning to your accommodation. Cycle from Killarney to Kate Kearney’s Cottage where you will cycle through the dramatic, ice-carved Gap of Dunloe to Lord Brandon’s Cottage. From here board a wonderful open topped boat trip through the three Lakes of Killarney to Ross Castle where you will cycle back to the bike shop and return your bike before enjoying your last evening in Killarney. Single Supplement: €280 per person (limited availability). Walking Grade: 2 Boots – Moderate walks of 7-11 miles (11-18km) per day with gradual ascents of up to approximately 1,300ft (400m).